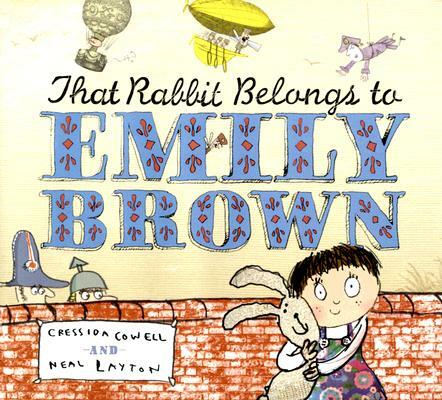 Emily Brown’s rabbit, Stanley, is NOT FOR SALE. Not even to her Most Royal Highness Queen Gloriana the Third. Not even for all the toys Emily Brown could ever desire. So when naughty Queen Gloriana steals “Bunnywunny” away, Emily Brown sets out to get him back. Along the way, she shows the queen how to love a special toy of her very own. The popular author of How to Train Your Dragon teams up with the author/illustrator of Oscar and Arabella in this irresistible picture book.